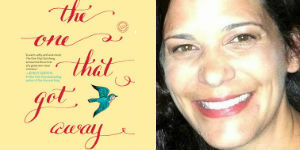 Kara Cesare, Vice President & Executive Editor, Random House Group, offers insights into her work with debut novelist Bethany Chase and the newly released The One That Got Away. Full of both humor and heartbreak, this book tells the story of one woman’s discovery that, sometimes, life is what happens when you leave the blueprints behind. 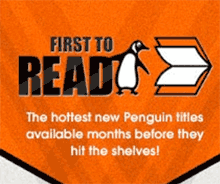 Having been the editor of a broad range of bestselling, award-winning authors, from Janet Evanovich to Lisa See, what was it about Bethany Chase and The One That Got Away that captured your interest and made you want to acquire and edit her novel? I fell into The One That Got Away immediately, and I didn’t stop reading until I turned the last page, which speaks to Bethany’s storytelling talent. I appreciated her gift for creating relatable, winning characters looking for love, but also searching for their place in the world. I missed the characters as soon as I finished the novel—that’s how vivid they were to me, and that’s when I knew I wanted to acquire such an impressive, emotional, and romantic debut. I was also very inspired by Bethany’s strong aesthetics in the novel—she’s an interior designer by trade and her descriptions of architecture and design are so mesmerizing. How would you describe the editor/author process of working with Bethany and what was involved in the evolution of this title from initial manuscript to finished book? Bethany is an incredible partner in publishing. We connected the first time we spoke about the novel, and she was open and receptive to the editorial notes I shared with her. She was very engaged in the editorial dialogue we had and was sincerely invested in making the novel as strong as it could possibly be. Who do you feel will be most attracted to The One That Got Away and what elements of the characters and the story will resonate most powerfully with readers? I think the premise—What would happen if you got a second chance at a love that almost was?—is really intriguing. Her opening is enticing: “Every woman has one. That name you Google at two o’clock in the morning. The intoxicating connection that somehow never solidified into anything real; that particular memory you still visit every now and then, for that guaranteed hit of pure, sugar-packed dopamine.” There’s an irresistible love story at the center of the novel, but there are also wonderful and poignant themes running through it about family, grief, resilience, and of creating a sense of home for yourself that I think will resonate. My hope is that the heart, wisdom, and humor that pervades this novel will appeal to readers looking for a great new voice in fiction, and that their discovery of this new talent will be one they can’t wait to share with their friends! Read more about The One That Got Away here.